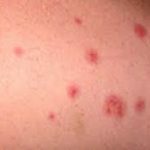 Bed bugs are tiny little parasitic insects of the Cimicidae family that feed exclusively on blood and that can be very difficult to get rid of. 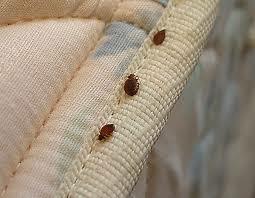 Bed bugs are mainly active at night, but are not exclusively nocturnal. 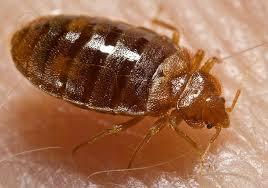 On average, a bed bug feed once every 7 days and an adult can survive several months without any blood meal. An adult mated female bed bug produces 121,409 nymphs, 7,848 adults and 169,490 bites within six months after the introduction. They don’t spread diseases but scratching at the bites may cause secondary infection. Bugs travel from place to place through clothing, luggage, sleeping bags and used furniture. This bug enters into your home with you or with your guest. 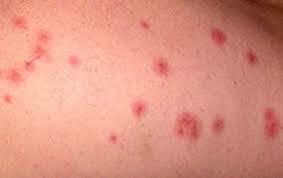 Bed bugs do not fly or jump. However, they can crawl very fast. Be sure to inspect the rooms and mattresses where you stay when you travel. When you are home after vacation/travelling, it’s a good idea to keep your luggage sealed in a plastic bag when you are not using it. Their initial hiding places are typically in mattresses, box springs, bed frames, and headboards where they have easy access to people to bite in the night. You can notice them either by bite marks or by streaks on your linen. They can also hide behind wall pictures, under loose wallpaper, sleeper sofas, bed side tables, edge of carpeting, draperies & curtains. 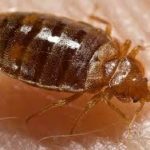 Bed bugs have been reported in house, hotels/motels, office buildings , college/university dorms, day care centres, various shelters, nursing homes, doctors clinics, movie theaters, transportation vehicle etc. We keep our exterminator knowledge updated with latest technologies by attending professional development courses and seminars offered by various universities, researchers, international pest management organizations, and bed bug control equipment & insecticide manufacturers. Our ethics is, not to carry out any bed bug treatment until there is solid evidence and this is why our customer trust us and we help them save their money, time and anxiety. Read the excellent reviews of our professionalism on HomeStars. Contact us for a free inspection if you require bed bug extermination from your home, apartment, condominium, hotel, motel or any other type of residential or commercial property. 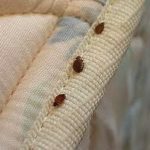 Our expert entomologist who has vast knowledge of insect biology can help you to customize bed bug control program that suit for you.